Finding wholesale real estate deals doesn’t need to be nearly as hard as many make it out to be; you just need to know where to look. Understanding how to find wholesale real estate deals is a huge component of some of today’s most prolific investors. Becoming a real estate wholesaler is a great way to get your foot in the housing sector door. Wholesale deals have proven, time and time again, that they aren’t only a viable option for new investors, but also one of the best exit strategies in today’s current marketplace. No other strategy, as far as I am aware, is more geared towards beginner investors than that of the real estate wholesale. That said, for a new investor to take full advantage of the opportunities awarded by wholesaling real estate, they must first learn how to find the right deal. If you are interested in finding wholesale real estate deals, may I recommend trying out some or all of the following? Real estate wholesale deals need to be purchased well below market value. There has to be enough of a spread for the end buyer to make a profit. If the purchase price on your end is too high, you may be stuck with a property you can’t get rid of. One of the ways to get a reduced price is through direct mail. Yes, direct mail can be pricey if you purchase a large list and mail several times. However, it can be tailored to meet your specific needs. Mail 200 or so names multiple times. Ideally you will want a list of distressed homeowners, but this can get pricey. An alternative is looking for absentee owners or disgruntled landlords. If you are consistent with your mailing, you should get some response. From there, you need to find motivation and use it in your pitch. If the seller just wants to get out, they may be willing to accept a discount. The same is the case if the property needs work or if the transaction is time sensitive. Direct mail is an investment that should pay off if you know how to track your leads and you are willing to follow up. You can find a local real estate investment club in almost every state. Regardless of your experience level, you should consider joining. They are a great place to find wholesale deals. Finding good wholesale deals is often a numbers game. The more outlets you have for deals, the greater your chances at success are. You never know who you are going to chat with at a meeting that has a deal or a seller they just don’t have time to work on. You may also run into a buyer that is just looking for the right person to sell to. In addition to contacts, you may also find techniques and methods of closing wholesale deals that you have not previously thought about. For the small annual fee, you can put yourself in front of dozens, or hundreds, of people in the business every month. All it takes is one of these to change your wholesaling business. You don’t necessarily need to spend thousands of dollars to find new deals. Often times you can find plenty of deals in your local market. Start by purchasing a bulk order of bandit signs. These are the small signs that you see in yards and on telephone poles. A simple “we buy houses cash” or “sell your home today” bandit sign can get your phone to ring. The key with these signs is positioning. A busy intersection or high traffic area can be more effective than a direct mail campaign. Another quality local source is FSBO properties. These are properties that are for sale by owner and can offer great discounts. You can either purchase a list of fsbos or reach out to all properties you see in your area. Some of these owners do not use real estate agents because they want to save on commission. If you make the right offer, they may just want to sell and move on. These two low cost marketing efforts can quickly jumpstart your wholesale lead database. Social media gives us the ability to reach hundreds of people in a single click. You should start by setting up a simple WordPress wholesale website. It is a good idea to keep buyers and sellers on different sites. Once your site is up, you should create pages on Facebook, Twitter, Instagram and possibly LinkedIn. Promote how you can close on properties in as little as five days. By making frequent posts, you are bound to find a handful of people who either want to sell or may know someone who does. It is not an exaggeration by any means to say that one post could reach hundreds of people, if not thousands. It may take you ten leads, or more, to find one wholesale deal. Some months, you may even have to sift through as many as twenty leads to find that one diamond in the rough. That said, it only takes one deal to make it all worthwhile. Do Your Homework: As with everything else in the real estate industry, the more prepared you are, the better. Mind due diligence and conduct the appropriate research on your local market. Get an idea of what home prices look like, and what you need to look for. Better yet, familiarize yourself with the wholesaling process as a whole. Only then will you be able to realize the success you desire. Work On Your Buyers List: Before you even start looking for your first wholesale deal, I maintain that you should already have a buyers list in place. You see, as a wholesaler, your sole purpose is to act as the “middleman” between a seller and a buyer. That said, it’s in your best interest to know who you are selling to before you even find a deal. At the very least, cultivate a list of potential suitors that may be interest in the next deal you find. Line Up Capital: Prior to finding your first wholesale deal, make sure you can buy the next promising property that comes before you. Align your services with a private or hard money seller immediately. That way, you’ll be able to buy the home – if need be. Find Wholesale Real Estate Deals: Not surprisingly, you’ll need to find a deal. Use the strategies I discussed above for this step. 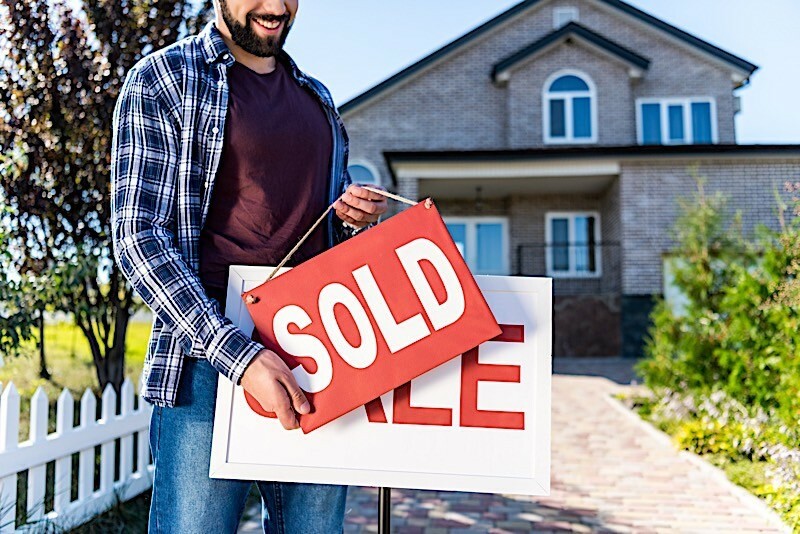 Determine Your Exit Strategy: As a real estate wholesaler, there are two ways to profit from a deal: selling a contract and executing a double closing. Disclaimer: When you sell a contract, you aren’t actually selling the property itself; you are actually selling your right to buy the property to another buyer. Under what is known as the doctrine of equitable conversion, once a real estate purchase agreement is signed by every party involved in a wholesale deal, the buyer becomes the equitable owner and the seller retains the bare legal title to the property under the terms of the agreement. A double closing, on the other hand, will have you purchase the subject property and sell it immediately after the acquisition (without rehabbing it). Is It Legal To Wholesale Real Estate? It is absolutely legal to wholesale real estate – so long as you abide by the laws already in place. That said, wholesaling is not without its fair share of misconceptions. Namely, there are a lot of professionals in the real estate industry that assume wholesaling is illegal. In reality, there is nothing illegal about selling a contract. Perhaps even more importantly, you are not acting as an unlicensed agent. Some states may have different laws regarding the wholesaling legal process, so make sure you understand the laws in the area you intend to wholesale. These points are, in no way, universal to each state and can change depending on where the deal takes place. Before you intend to wholesale a deal, check with a real estate attorney in your area that understands creative real estate transactions. Do You Have To Have A License To Wholesale Real Estate? You do not need to have a license to wholesale real estate; you just need to be the principal buyer in the transaction. That said, obtaining a real estate license will give you access to the MLS, which is a great source of leads for wholesale deals. Wholesaling real estate is often viewed as an entry level exit strategy, as it exposes investors to less risk than, say, a rehab. That said, the barrier to entry is relatively low; becoming a real estate wholesale only requires that you want to do it. Of course, it’s easier said than done, but there really isn’t any reason anyone can’t wholesale a real estate deal. Provided all laws are followed, anyone can wholesale a home.